is published quarterly in both printed and online editions in February, May, August, and November. The printed edition is sent to EERI members as part of their membership benefits. EERI established Earthquake Spectra with the purpose of improving the practice of earthquake hazards mitigation, preparedness, and recovery. and other earth scientists; architects and city planners; public officials; social scientists; and researchers in all these disciplines. earthquake public policy, and earthquake investigation reports. 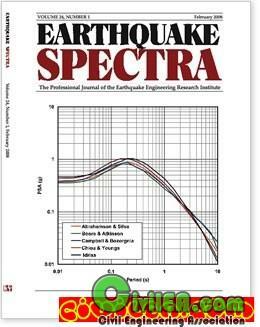 Manuscripts published in Earthquake Spectra are peer reviewed. Periodically, EERI publishes special issues of Earthquake Spectra, either as theme issues or as reconnaissance reports on major earthquakes. Some trouble with the megauload link. Still couldn't download the file. it will be great if some body can post mirror links other than "megaupload"